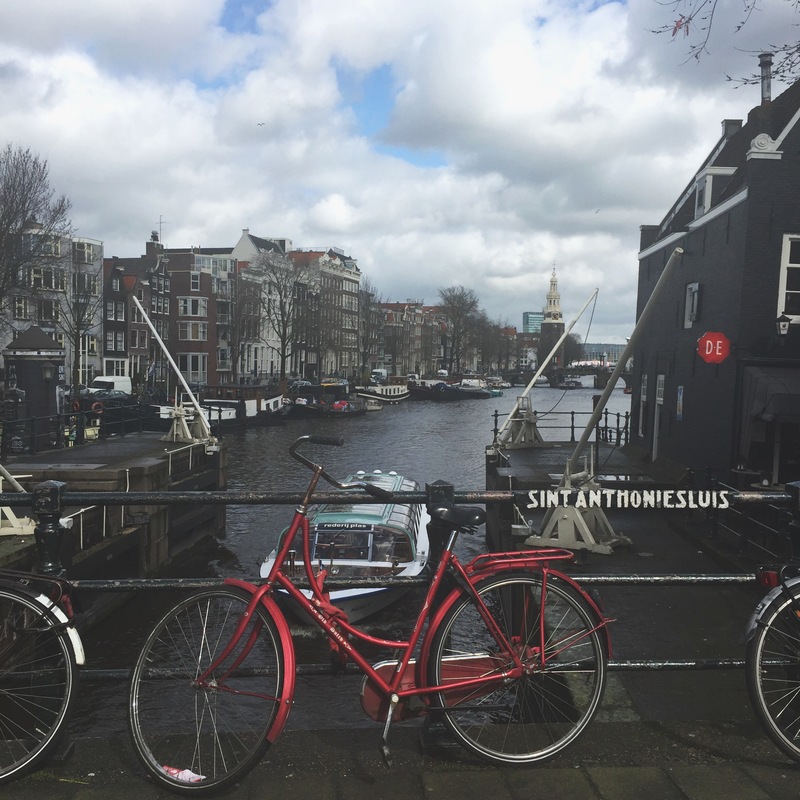 My week of traveling began yesterday morning, waking up at 6:30am and getting ready to head to the airport for our flight to Amsterdam. 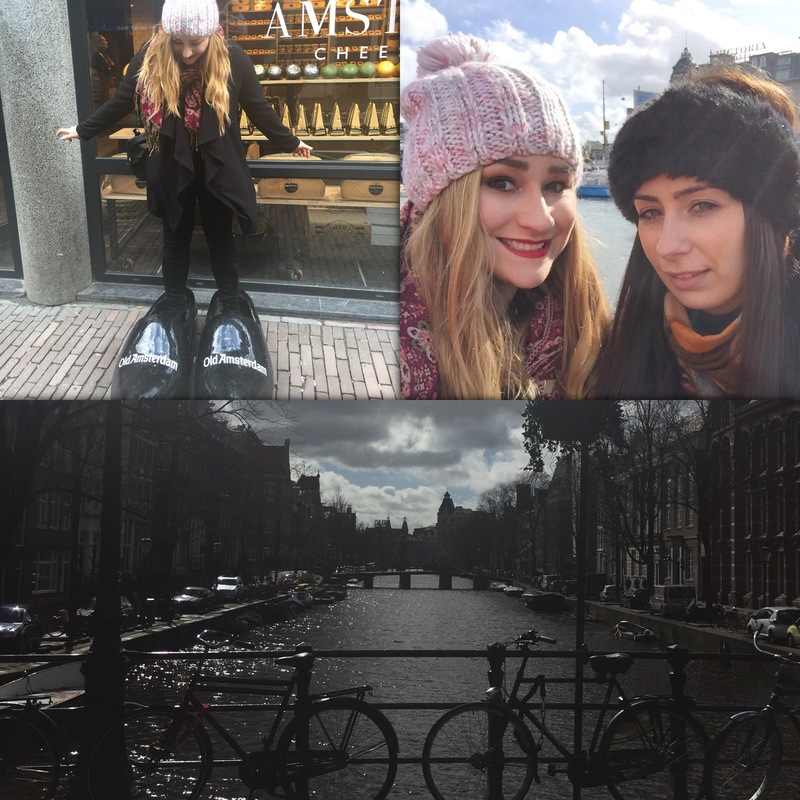 I didn’t really know what to expect in Amsterdam so I actually wasn’t even excited to go. Our flight was late to take off, as usual but it only took 45 minutes to land again which is the quickest flight I have even done! From the airport we bought a train ticket to the central bus station and then a tram ticket to find our hotel. Everything was going smooth until we went to get of the tram, and it started moving before we were off. The lady manning the tram just said we were too late in a rude manner, even though we couldn’t get through the crowd of people getting on. But anyway we got of at the next stop and had a ten minute walk to our hotel. When we arrived at the hotel we quickly picked up everything we needed for the day and headed out. 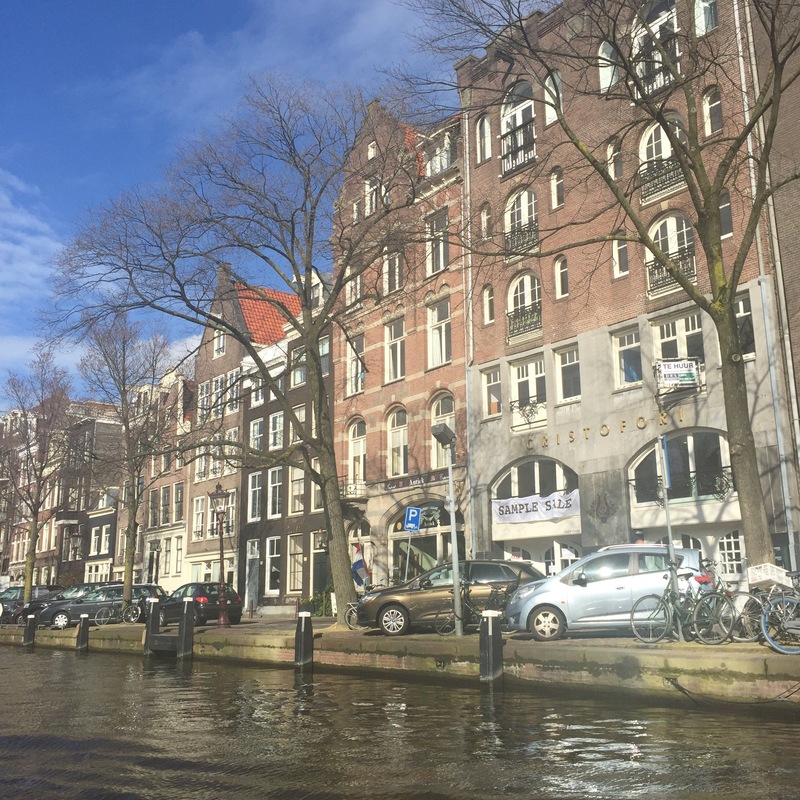 It turned out we were only 10 minutes away from the main places such as Dam Square. 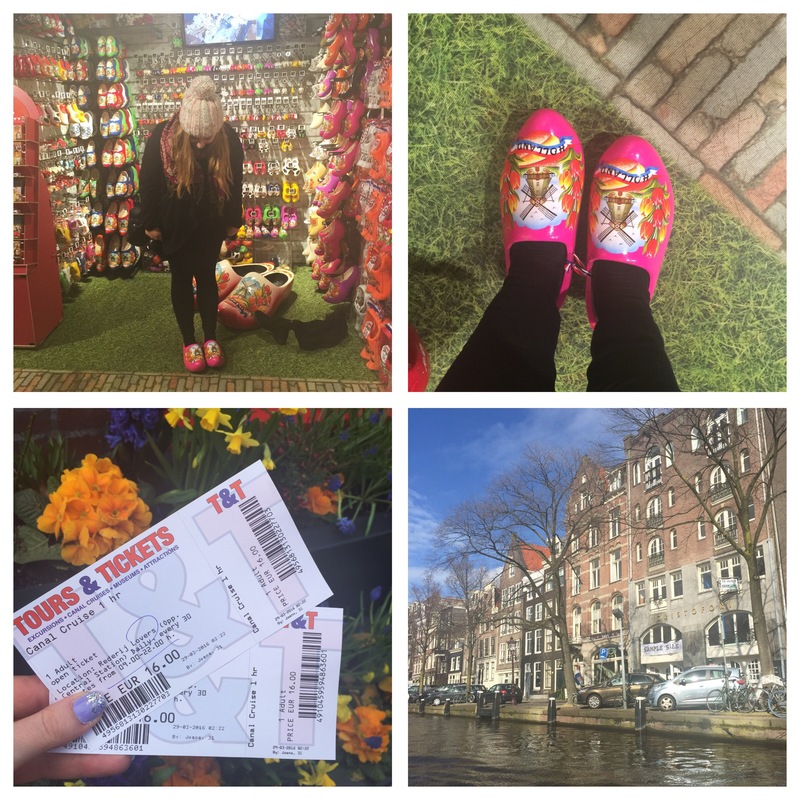 We had wonder around and bought a ticket for a canal cruise so we did that for one hour. We were able to deal with the old walking around but when we were sat on the boat it was freezing, mainly because we thought it was a good idea to sit outside. There are some giant vlogs around the city so my friend and I took our picture I a few of them. And I also tried on a real pair of clogs, they are so uncomfortable! We didn’t really do much else apart from wander around the shops and bought a few souvenirs. Tomorrow we are going to try and go to Anne Frank’s house but we hear it’s quite busy so I doubt we will get in. If not sure we will do some more shopping and walk around a lot more! This brings back some great memories of Amsterdam! 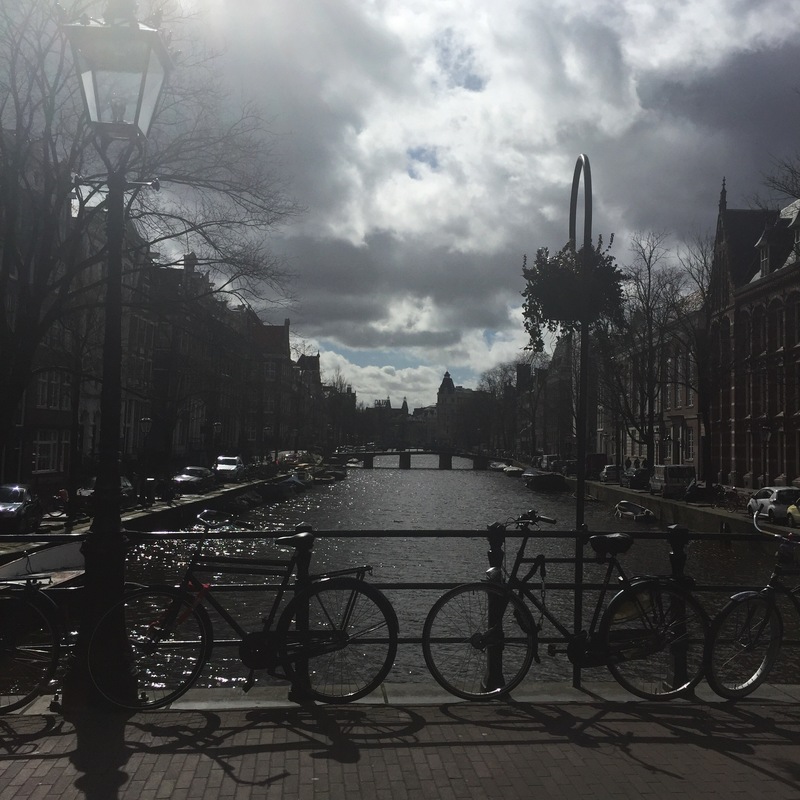 Even though the Anne Frank house is busy, it’s worth standing in the queue – it’s quite a surreal and moving experience. Enjoy your day 🙂 It’s night time over here in Australia and I must say I’m a bit jealous of your trip! Thank you. I’m jealous that you live there! You’ll have to organise a trip here someday!